GOD-LIKE ENERGY WITH EINSTEIN-LIKE FOCUS! 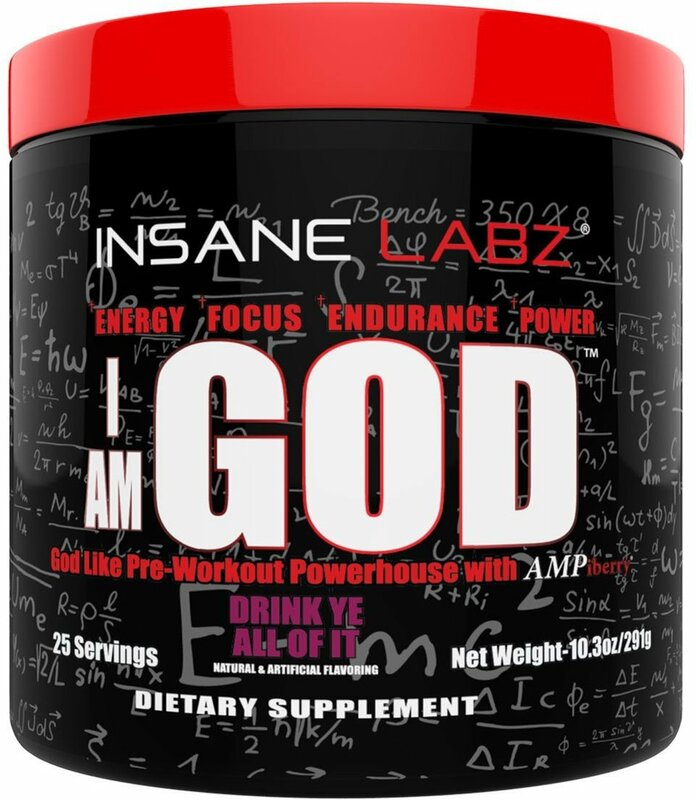 I AM GOD is the most sought after pre-workout ever created and formulated by the founder of Insane Labz who has manufactured/formulated for 300+ other Sports Nutrition brands worldwide. 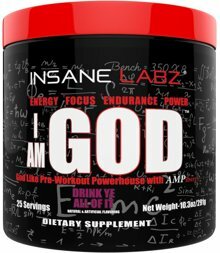 This product from Insane Labz is so amazing it actually speaks to YOU the customer from the shelf or screen telling YOU that it is the GOD of pre-workouts! The Asylum fans thought we set the bar high with Psychotic but we have broken the bar like we do all plateaus and created I AM GOD to be the biggest baddest pre-workout ever created. Insane Labz recommends you start with half a scoop to access your tolerance as this product is only for advanced users. I AM GOD must be taken seriously and taken as directed. If you have not tried Insane Labz products before, welcome to the movement and the takeover.. God has spoken! Now it’s up to you to do the rest.